Unclogging a windshield fluid nozzle is not as hard as you think. Here's how to get the job done. Just as you go to remove those streaks from your windshield, cleaner fails to spray out from the jets. The bad news is you have a clog, but the good news is that this is very easy to fix. These jets are notorious for getting clogged with all sorts of gunk, from dust to wax. Fortunately, the front jet nozzles are heated, and the obstruction might be warmed from exterior temperatures enough to remove it. However, in more adverse situations, you can use the procedure listed here to unclog these nozzles. Park your car under a well-lit area and look at the nozzle. You should be able to make out what is clogging each port. Figure 1. Inspect the nozzle for obstruction. Using the pin, carefully prod the obstruction inside the nozzle. You want to be really careful here so you do not push the object deeper into the nozzle. Pull out each piece little by little until the obstruction is completely removed. Figure 2. Remove the obstruction. 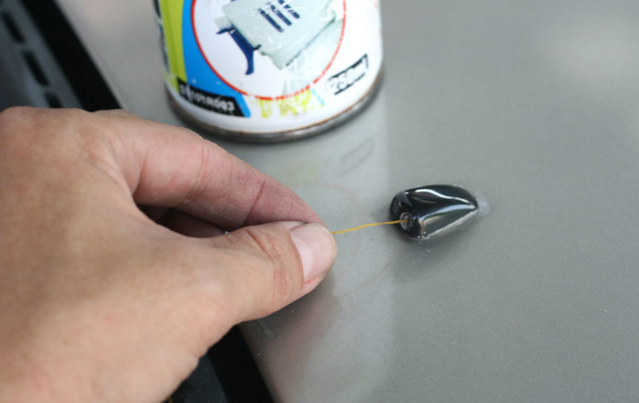 If the object is soft enough, you can also swish the pin around in the nozzle and break it apart before squirting washer fluid through. The rear nozzles can also get clogged sometimes, especially in colder climates. 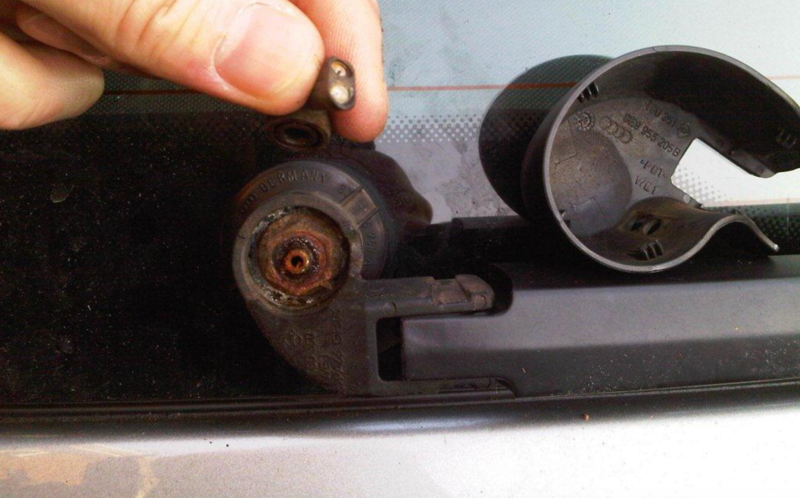 Fortunately, you can easily unclog the nozzles by spreading the wiper cover sides open and popping off the assembly. It's a good idea to grab each nozzle covering and soak them in some vinegar; this will allow stuck particles to loosen up and be easier to remove. 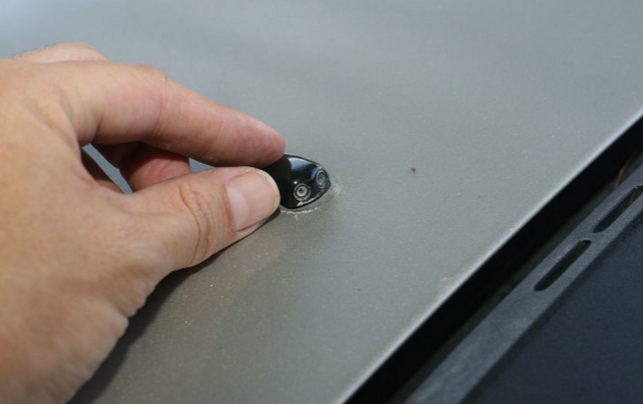 With the cover off, you can press the rear washer button to squirt out any excess debris. Once the cover has soaked for 30 minutes, remove it and clean the ports out with a pin. With all of the debris removed, reinstall the coverings. Figure 3. Remove the jet and clear out the passages.